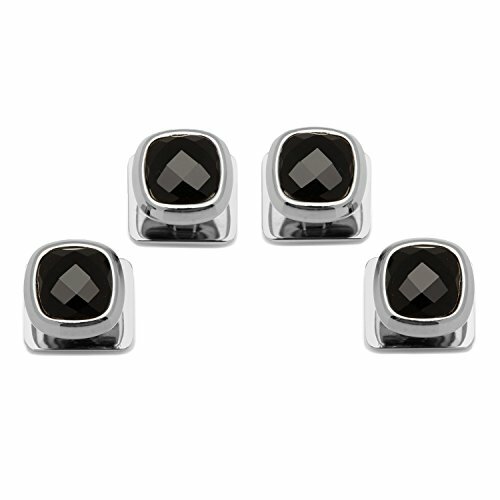 Upgrade your black tie look with the Faceted Onyx Cushion Studs. The faceted cut highlights the stone's brilliance and the compliments you will receive will bring out the sparkle in your eye. Be the center of attention at your next formal event for all the right reasons. Manufacturer: Ox and Bull Trading Co. Publisher: Ox and Bull Trading Co. Studio: Ox and Bull Trading Co. If you have any questions about this product by Ox and Bull, contact us by completing and submitting the form below. If you are looking for a specif part number, please include it with your message.